We had the pleasure of being introduced to MJ + Mike through their DJ, Luke of Luke Renchan Entertainment. 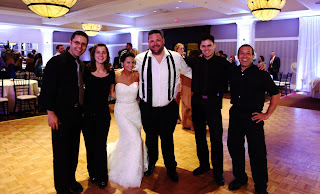 This couple was fun and laid back from the start and they wanted an amazing reception and so they did! Now Mike is a class act and as great of DJ that he is and dedicated to his craft, his heart is truly with family and his close friends. On the wedding day we saw that, always making sure everyone felt like a celebrity and was have a great time. The day started out with MJ getting her makeup done and prep in Norwood at her parent’s home. MJ’s mom and dad are such warm and friendly people, all day you could see their love for the couple and of “famiglia”, family! 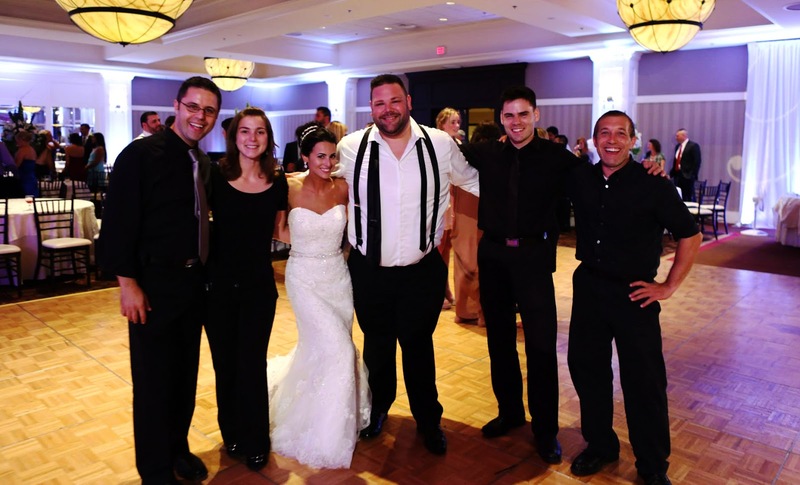 The ceremony was held at the beautiful St. Catherine of Siena in Norwood and the reception follow at the Four Points Sheraton in Norwood, MA. Luke Renchan Entertainment provided uplighting, some accent draping behind the bride and groom, a customized monogram on the dance floor and motion texture lighting that was used to accent the room. All of the guests were treated like celebrities at this reception and what an amazing reception it was! Great entertainment by Luke and MJ and Mike decided to add a band, Sweet Tooth and the Sugar Babies to add variety throughout the night. They defiantly know how to throw a party! MJ and Mike, the feelings are mutual and we could not have asked for a more fun wedding to shoot! Following their last dance the night continued with a laid back after party, what a night!